What are Rich Pins ? 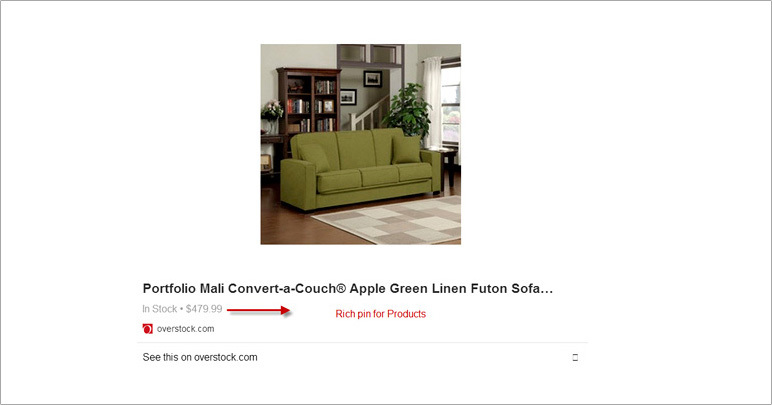 When a user pins a product image from "Rich Pin" enabled shopping cart; along with the image; Rich pin will also send actionable information to Pinterest. For Products actionable information will include Price, availability etc. This info will be published along with the image on Pinterest Board. How to make my product pages Rich pins enabled? On installing the plugin/extension Visit Pinterest Validation page here. And paste any of your product URL to apply. In about 4-5 working days you will receive an e-mail from Pinterest if your site is approved or disapproved. "Congratulations! Your rich pins are approved and on Pinterest Your OpenCart e-commerce shop is rich pin enabled"
Pre-requisite: The Extension is vQmod based. you should have vQmod installed. Unzip the contents of Extension. You will find following files. After upload login to your shop. Go to extension => module. 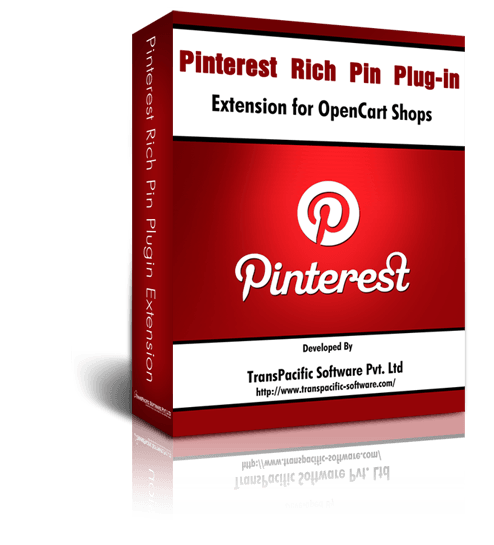 Where you can see Pinterest Rich Pins for OpenCart v1.1 click on install. 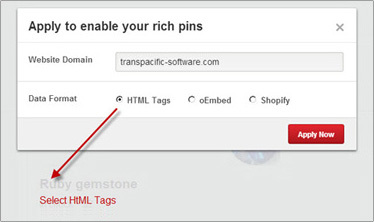 It will insert Open Graph tags (adhering to Pinterest Rich Pin requirements) in the header of Product Detail page. 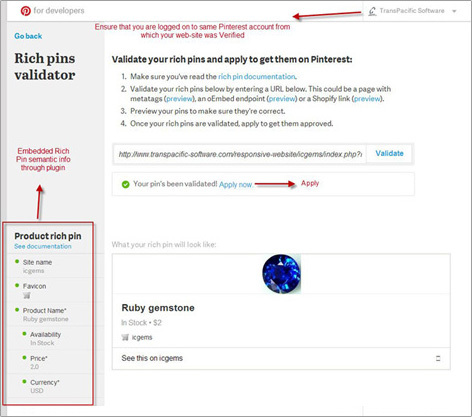 You may test it by pasting the URL of your product detail page in Pinterest's Rich Pin Validation Page.